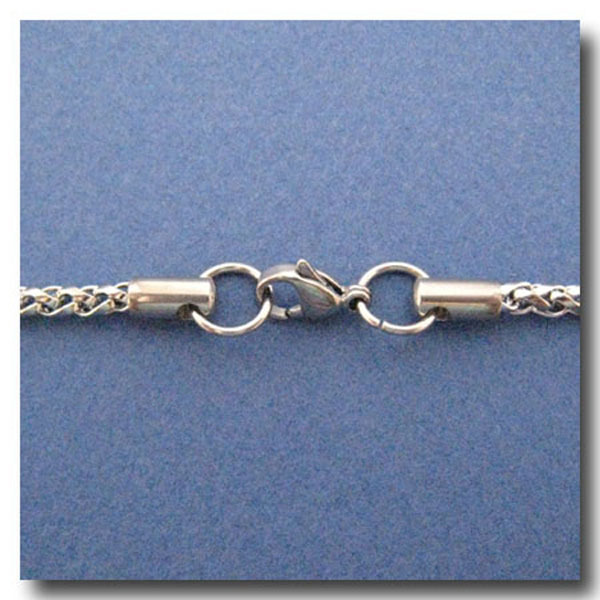 STAINLESS STEEL INFINITY ROPE LINK NECKLACE. Material: Solid 316 Stainless Steel. Clasp: Stainless Steel Lobster Claw Clasp. Length: 21.5inches. Style: Infinity Rope link chain. Weight: Light/Medium. Width: 3mm.